Now I don’t normally post radio news as you may have seen, but this one caught my eye over on Radio Control Car Action. They are posting news of a new Lynx 4S Pro radio from Hitec. Now I have to admit that it was the photo of these radios that caught my attention because they were a clean and sleek looking design with what appears to be a colour adjustable illuminated panel. For more details follow the link below. It’s been a little too long since I posted anything crawler related up, so I thought it was about time when I spotted a great video this morning. Keep up the good work lads, and remember to let us know when you have any events so that we can publicise them. Where: Greenhill Road, Kalgoorlie, W.A. A Basher or a Racer? There has always been two distinct categories of RC Car driver, the Basher and the Racer. The two groups rarely cross paths, and don’t talk about the other half at all, somewhat like a couple part way through a divorce hearing. It is almost taboo to claim to have a foot in both camps or mingle with the “enemy”! The thing that got me hooked on RC cars as a child was the Tamiya Stadium Blitzer. I saw a pair of them being run in a hall in Devonport as part of a school fair many many years ago and loved anything RC from then on. 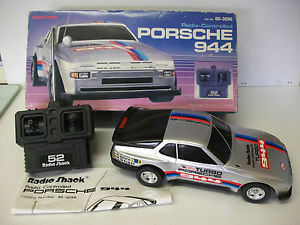 I started of my RC career in the late 80’s with a Tandy Porsche 944 Turbo which still haunts my children’s toybox in a somewhat sad condition to this very day. Certainly not a hobby grade RC car by any means, but as a young child of about 5 or 6 it was the best thing since batteries were invented. The worst thing in the world however, was waiting for the Arlec C size batteries to recharge and the short time that they seemed to last. Fast forward to adult life and my interest in RC cars was re awakened probably by my brother who had a few RC cars with a mate, Greenie and Brickwood, this is probably all your fault to be honest! So as a university student I had a few dollars in my pocket and I invested in what I still believe to be a cracking RC Car, the HPI MT2. This Nitro powered, 4wd stadium truck was similar to the Tamiya Stadium Blitzers I had seen, but it was more powerful, it was loud and when it worked, boy it was some serious fun! I went to nitro because it was fast, did not need to recharge like those dreaded C batteries and it looked fast standing still! However nitro to this day is not my friend, and all too often I just couldn’t get it to run well, and it was eventually sold (to finance a E-Savage monster truck). As with the 944, the MT2 is still alive albeit in a slightly modified form as it was my brother who bought it from me! I always enjoyed running my RC cars in various parks and places round this beautiful state, but it was fairly rare to bump in to anybody else running a hobby grade car. After that I had a few RC cars, E-savage, E-firestorm, Sprint 2, Blitz ESE, but all were electric cars as this was the time that Lipo Batteries and brushless motors were becoming the norm. Certainly I classed myself as a basher and never contemplated stepping foot in what I perceived as the expensive world of RC racing. Then something happened, a local group of people started getting together to investigate starting a RC Racing Club. At that time the nearest two clubs to my hometown of Launceston were 1 hour or 2 hours travel in opposite directions. I’m not sure how the group of people found one another as I was dragged into it by my younger brother and his friends, but I do know that a key instigator was Scott Guyatt, to whom our local club owes it’s existence. Weekends mostly were out for me, but an indoor venue was found with lights, and Thursday night racing began without the worry of interference from the weather (ok, a little as the roof had some leaks). I wasn’t so sure, but I went along and gave it a go. We had a few ropes and a lot of chalk marking out the track, we stood on the ground or broken chairs that were about the place in the disused indoor cricket arena, but it was great fun and boy oh boy was it addictive! The club ended up forming and incorporating and has been on the rise and rise since. Many faces have come, helped and gone again, and we unfortunately lost Scott once again to warmer climates, but he can be sure that his smile, commentary, help and assistance will always be missed. Now I am the Secretary of that same club and I am fairly active in the operation of it. Launceston RC is now one of the longer running indoor off road establishments (having lost our hybrid on/off road layout due to the popularity of off road 1:10 scale racing) in the country, and certainly the only indoor venue in Tasmania. Looking into the older posts on our website, the first post was dated October 14, 2009, and the first test session at the venue the 26th of October 2009. And we have come a long way since then! I still classify myself as a basher as well as a racer, despite my vehicles being mostly race cars with the exception of a Tamiya rally car. However whilst not the world’s best racer, I love the challenge, the camaraderie and the friendships that I have forged as a part of my local racing club. I guess my point is that the two camps are not so dissimilar than they think, at least at our club where fun and friendship is just as important as lap times and positions. Both groups love their hobby, they love hanging out with their mates partaking in their hobby, and racing is a natural extension of hanging out with your mates and having fun. Let’s face it, having fun is always better when you are having fun with your mates, regardless of which camp you put yourself in. 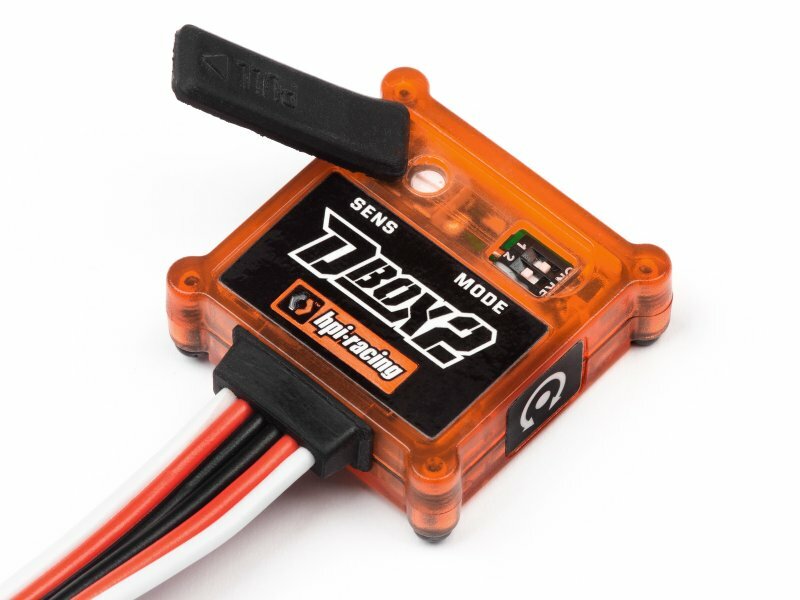 HPI have released a successor to the original Dbox that was essentially a gyroscope to help automatically correct a drift and keep you on the right line with a minimum of steering input. The D-box 2 has had it’s operation expanded to work on a variety of surfaces including Mud, Dirt, wet and dry pavement. The big improvement is in allowing you to choose the sensitivity of the D-box to be less aggressive in it’s interference, or more aggressive in helping you out. 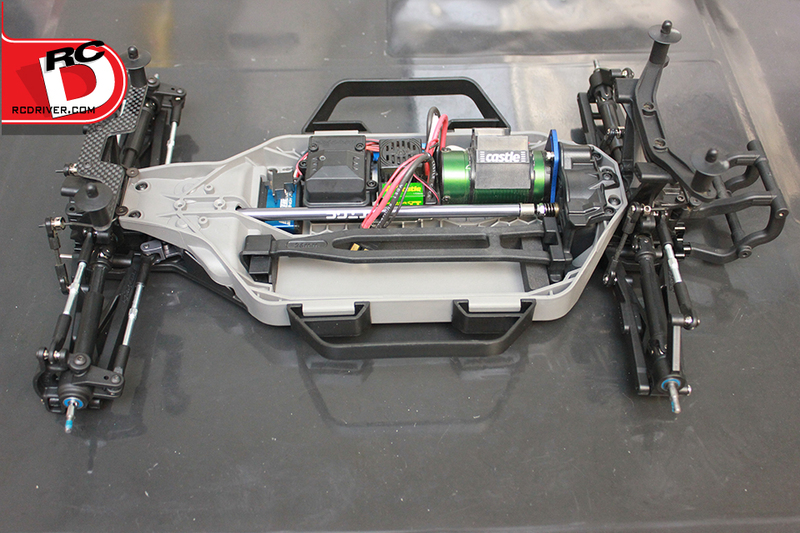 So a while back we posted about RC Driver working upa Project Stealth Rally car, I saw part 3 today and realised that I had missed part 2, so here are the 2 parts of their project that I have not shared to date. Proline has release a couple of new products, one for racers, one for bashers. Foror the Bashers out there, the Apocalypse body for the Summit which looks very tough in a apost apocalyptic world kinda way. Now I know that the Apocalypse body for the summit was released a while back, but this time it is for the 1:16 Summit, not the regulat 1:10 one.